Are you seeking some sun? 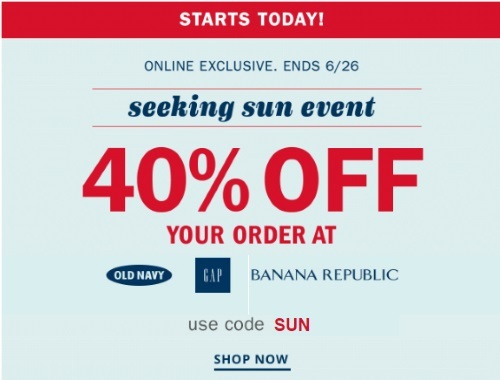 Old Navy, Gap and Banana Republic are offering 40% off your entire purchase now! Enter the promo code SUN at checkout online. Offer ends June 26, 2017.